LAS VEGAS (Reuters) – As vehicles get smarter, your car will be keeping eyes on you. Interior-facing cameras inside the car are still a novelty, currently found only in the 2018 Cadillac (N:) CT6. Audi (DE:) and Tesla Inc (O:) have developed systems but they are not currently activated. 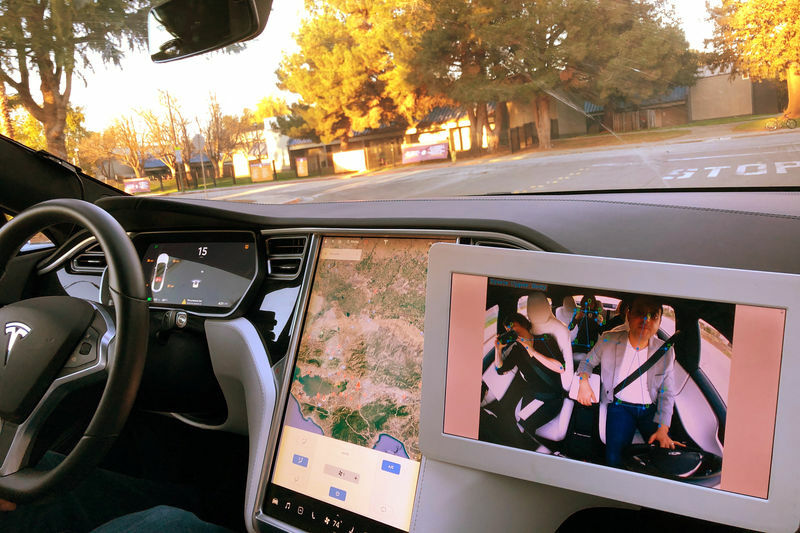 Mazda (T:), Subaru (T:) and electric vehicle start-up Byton are introducing cars for 2019 whose cameras measure driver inattention. Startup Nauto’s camera and AI-based tech is used by commercial fleets. Companies such as Israel’s Guardian Optical Technologies and eyeSight Technologies, Silicon Valley’s Eyeris Technologies Inc, Sweden’s Smart Eye AB (ST:), Australia’s Seeing Machines Ltd (L:), and Vayyar Imaging Ltd, another Israeli company using radar instead of vision, are crowding the space. Many have already signed undisclosed deals for production year 2020 and beyond. It is not yet clear how consumers in the age of Facebook Inc (O:) and virtual assistants like Amazon.com Inc’s (O:) Alexa will react to the potentially disconcerting idea of being watched – then warned – inside a vehicle, especially as cars become living rooms with the advent of self-driving. “Put a small piece of scotch tape on it … and you can nose pick again …” advised one post.